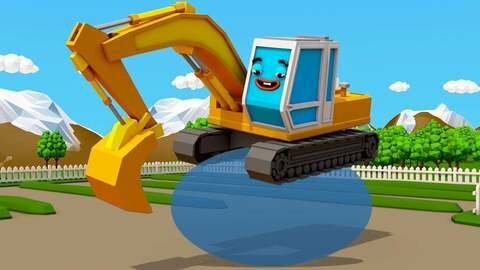 Hey boys, in this nonstop car cartoon for children you'll meet the Orange Tractor playing with bubbles and a police car. The latter accidentally swallows the bubble solution and creates huge bubbles with it's mouth. Do not stop watching this car cartoon for children if you want to know what happens next.